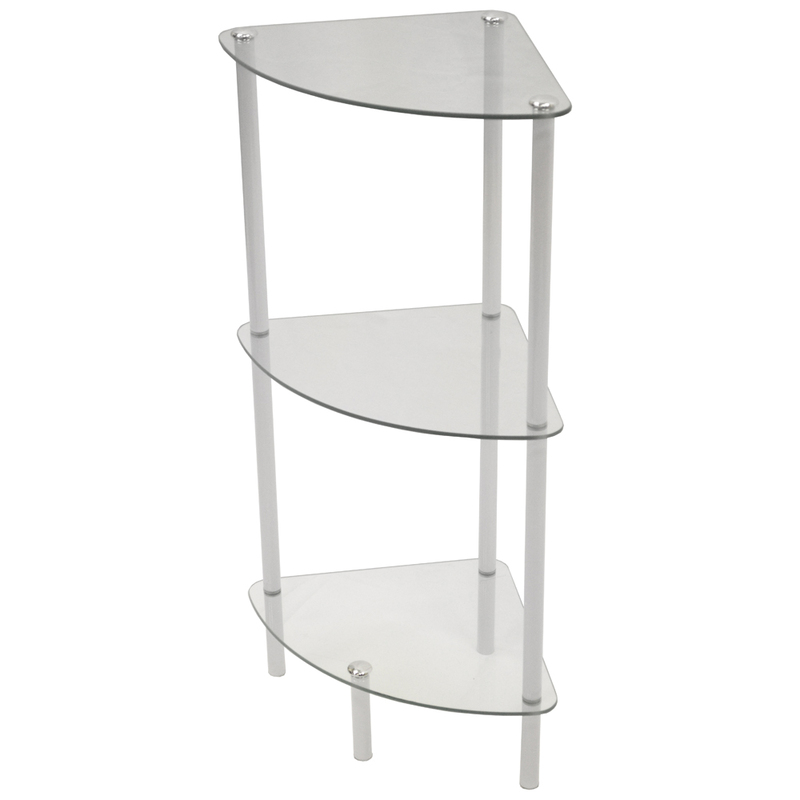 Sleek simple 3 tier corner storage shelves with curved front edge. Ideal for adding storage to any room in the home and perfect for bathrooms. 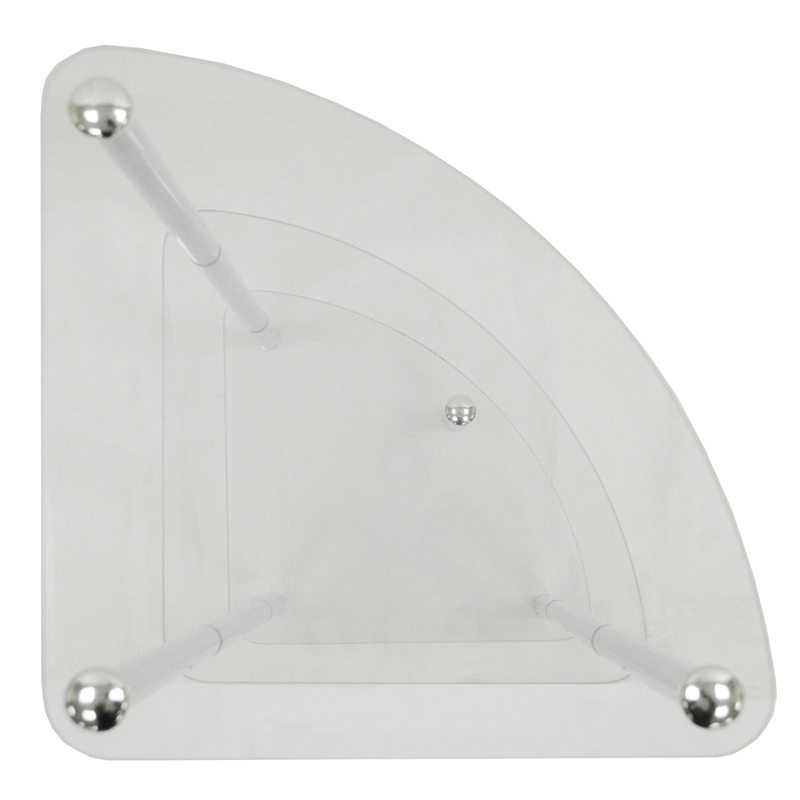 Made from a sturdy white painted steel frame with clear tempered glass shelves.